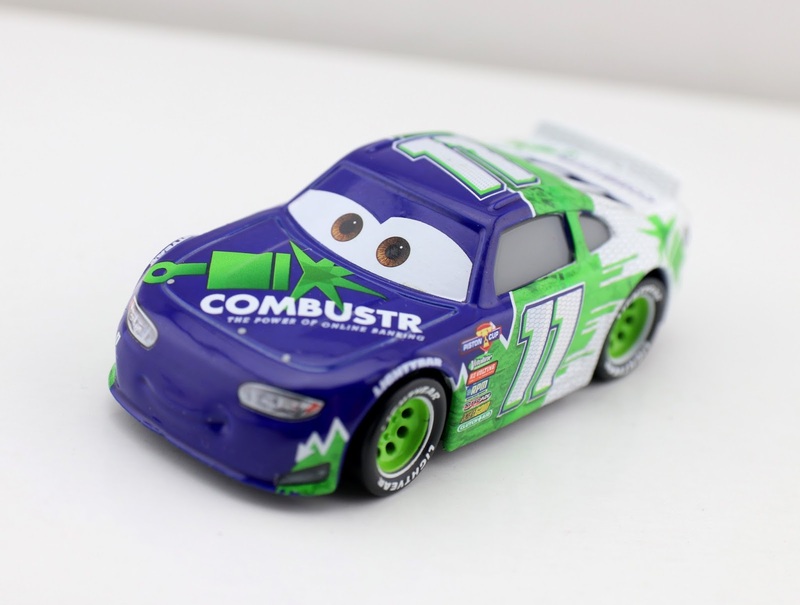 Tonight I'm documenting another Cars 3 Mattel 1:55 scale diecast from my collection...this time around, it's Piston Cup racer Chip Gearings (also known by his sponsor, Combustr; No. 11)! I've had this one for almost a whole year and I'm only getting to this review now. Phew! 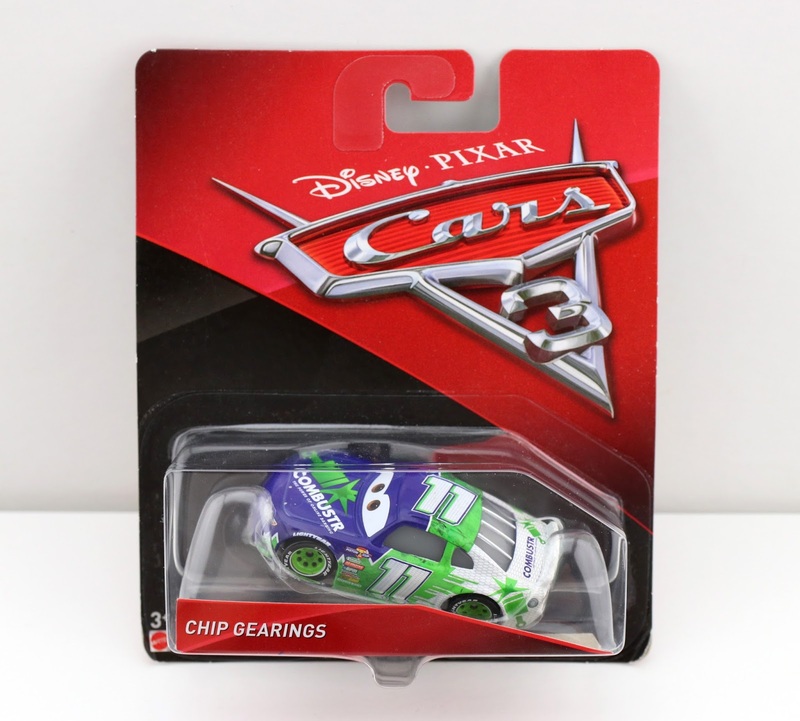 He was released on May 1st last year and was part of the initial launch of Cars 3 toys by Mattel. Combustr (who's slogan is "The Power of Online Baking") is a brand new sponsor created just for Cars 3 and was not featured on any racers in any of the previous Cars films or shorts. Chip can be seen in Cars 3 very, very briefly (essentially just a quick blur) during some of the opening racing shots of the film. I really wish the camera lingered on some of these racers longer (kind of like in the first Cars), so that you could see all these awesome characters better! There's a next-gen Combustr racer coming out this year as well, so I'll be posting that as soon as I find him (don't worry, it won't take me a year this time). Not too much to say about this one though! Just another basic and somewhat generic (yet solidly done) racer who uses the made mold as many of the others diecasts. Believe it or not, Chip can still be found on store shelves to this day. It's crazy! However, if you're looking to add him to your collection and he's not available in your area anymore, you can always visit my direct link to Amazon below. Let me know your thoughts or any questions you might have. Happy hunting!